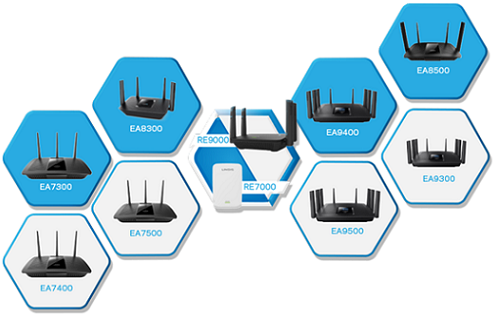 Seamless Roaming allows your supported devices to roam between a supported Linksys Max-Stream router and range extender products (make sure that the latest firmware is installed with Seamless Roaming support). Seamless Roaming guarantees no dropped calls for Voice over IP (VoIP) applications such as FaceTime® or Skype™. The client device must also support Seamless Roaming (ex. for Android™ devices, the option is called Wi-Fi Roaming). Check your device's manufacturer to make sure that this option is enabled. Seamless Roaming works between Wi-Fi to Wi-Fi only and not 4G to Wi-Fi when using a mobile device. NOTE: Only WPA2™ or WPA2/WPA™ Mixed Mode is supported.